Wolfsburg vs Borussia Dortmund predictions for this weekend’s German Bundesliga. Dortmund look to maintain their position at the top of the table with a visit to the Volkswagen Arena to face Wolfsburg on Saturday. Read on for our free betting tips and match preview. Wolfsburg’s 18/19 campaign was taking a turn for the worse before last weekend’s much needed 3-0 victory away to Fortuna Dusseldorf. Six league games without a win (D3 L3) prior to that was the worst ongoing run in the Bundesliga, but it looks like coach Bruno Labbadia’s change of formula brought around some positives. He moved away from his “tried and tested” 4-3-3, instead opting for a 4-4-2 with new signing Wout Weghorst, who has been involved in five of the club’s last seven Bundesliga goals (3 goals and 2 assists), and Daniel Ginczek leading the line up front. Both of them got on the score-sheet so it’s hard to see Wolfsburg moving away from that, unless coach Labbadia goes even more defensive with the visit of league leaders Borussia Dortmund. Dortmund’s landscape has changed a lot since the glory days of the early 2010’s and last season’s hot and cold performances prompted due change. Former-Nice and Borussia Monchengladbach boss Lucien Favre is the man Der BVB have assigned to mould them into title contenders once again, and with 21 points from their opening nine matches (W6 D3), it’d be reasonable to say they look back on the right track. Spanish forward Paco Alcacer, on loan from Barcelona, could return to his position as the lone striker this weekend after missing out to injury last time out – incredibly, he’s scored seven goals in just 127 minutes for Dortmund – and if so would spearhead an attacking quartet that has scored a massive 21 goals over their last five league outings – one 7-0 win over Nurnberg, one 4-2 win in Leverkusen, one 4-3 win at home to Augsburg, one 4-0 win in Stuttgart and a 2-2 draw to Hertha last weekend. So how does this one look in terms of betting? Well, Wolfsburg’s home record speaks for itself (see statistics) and against a Dortmund side that has been truly terrifying and sometimes unplayable, it’s hard to look past the visitors getting three points this weekend. You might say that Der BVB haven’t been the most convincing travelling side in 2018, but ending a seven match winless run on the road with back-to-back 4-2 and 4-1 wins against Leverkusen and Stuttgart will do a lot for their confidence and it shows how far they have come. 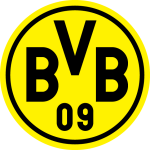 Dortmund are already settled into the change of style that coach Favre has been trying to implement – similar to Chelsea’s immediate success under Sarri – and it’s hard to see them dropping the ball when they’re simply one of the best attacking sides the German top flight has ever seen – Dortmund’s 29 goals scored in nine matches is just two goals shy of the league record (31 goals by Frankfurt in 1974/75). Dortmund’s head-to-head record against Wolfsburg over recent years has been very consistent too, not only winning in five of the last six between them (W5 D1), but also keeping them from scoring in any of the last three clashes – two 3-0 wins and one 0-0 draw. Ultimately, Der BVB simply have too much going for them: unbeaten in 13 competitive outings (W10 D3), best offensive record in the Bundesliga, having a much better depth of attacking quality in players like Marco Reus, Marius Wolf, Christian Pulisic, Jordan Sancho and so on… Wolfsburg, meanwhile, though not holders of any negative records, are a side that still have a lot of work to do in restoring themselves back as contenders for Europe and we just don’t think they’ve shown enough quality this season to see them getting a result here. Our prediction: 3-1 Borussia Dortmund. Wolfsburg have won just 2 of their last 14 Bundesliga home games spanning back to last season (W2 D5 L7). Borussia Dortmund have scored 29 goals in 18/19 – their best ever tally at this point in a season. Borussia Dortmund are yet to lose a Bundesliga match this term (W6 D3). Dortmund’s Jadon Sancho has had a hand in eight goals in his last five Bundesliga outings (4 goals and 4 assists). Wolfsburg’s Wout Weghorst has been involved in five of the club’s last seven Bundesliga goals (3 goals and 2 assists).